We arrived in Disney World after driving all the way from Toronto, exhausted, but excited. The following day was going to be busy, and involve a lot of juggling. After some much needed baths and showers, we were ready for bed, and buzzing about our exciting plans for the following day. 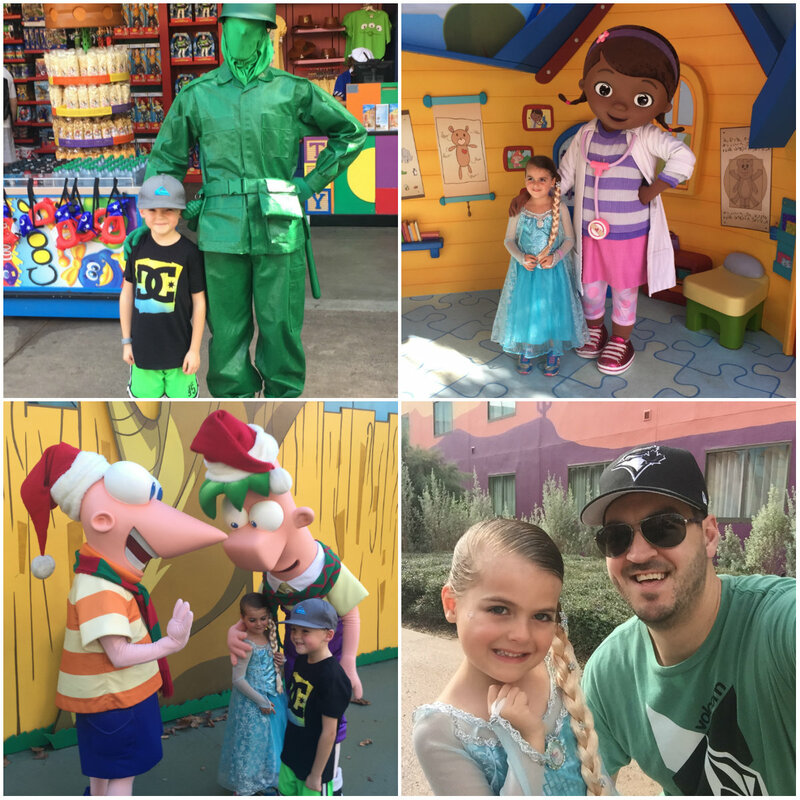 I had booked an appointment for our four-year-old daughter, Beau, at the Bibbidi Bobbidi Boutique in Disney Springs, while my husband, Mike, and my parents (who stayed in a room on the other side of our resort) took our six-year-old son, Holden and our 17 month old twins to Hollywood Studios. The plan was that Beau and I would then hop on a bus after her makeover to meet up with everyone at Disney’s Hollywood Studios, once she was done. After everyone had a good-night’s sleep, we had breakfast at our resort, Disney’s Art of Animation, and then parted ways. I was feeling a bit exhausted, and was wondering if we should have planned a “buffer” day between our long drive and starting into the Disney experience. Beau and I waiting for our bus to take us from Art of Animation to Disney Springs for her princess makeover. Beau and I arrived for our appointment, full of excitement. She kept saying that she wanted to have a side braid like Elsa, but when I had last checked, (when I had booked the appointment a few months prior), they didn’t have an Elsa makeover on the menu. To my relief, and to Beau’s delight, we realized that they had recently added a Frozen makeover package (we went for the full Disney Frozen Package). 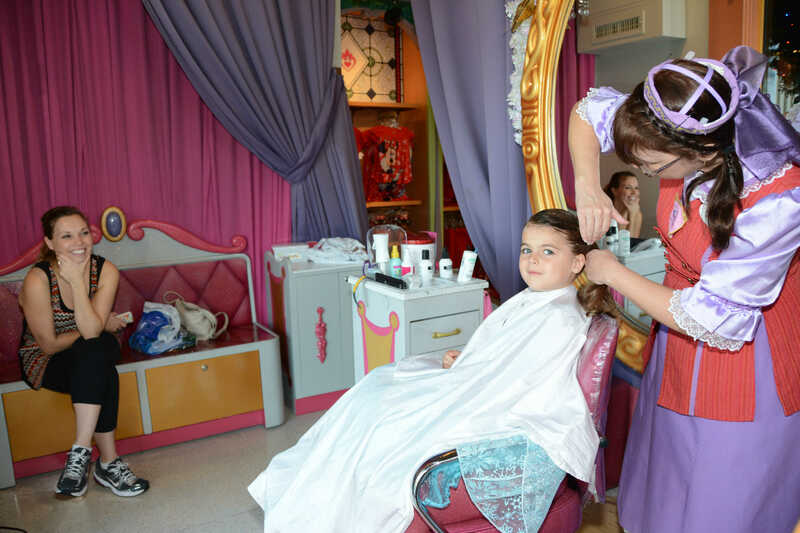 Tip: book your Bibbidi Bobbidi Boutique appointment months in advance. It is very popular! After a short wait, they called Beau’s name and a Fairy Godmother-in-training ushered Beau into a change room where her Elsa dress was laid out for her. Beau changed into her dress and again took a seat in the boutique. We were getting a little curious when we watched other little girls called, but Beau continued to wait. 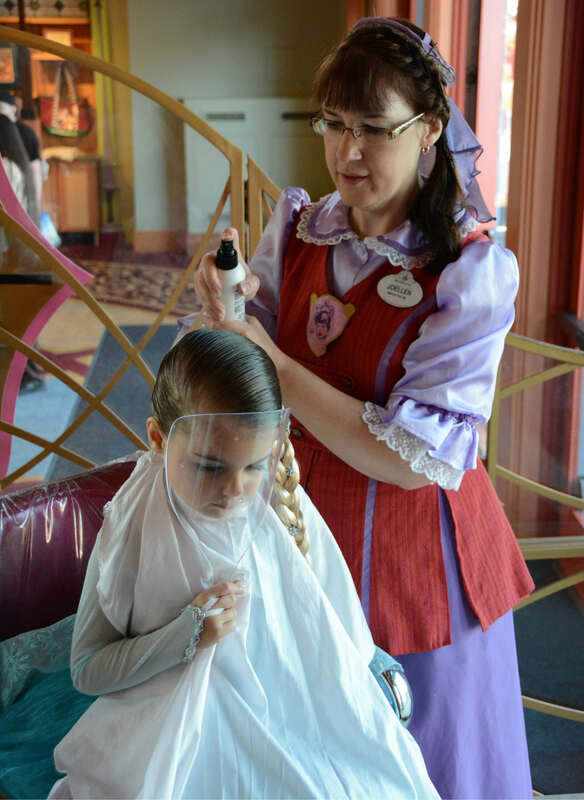 Suddenly a Fairy Godmother-in-training came over to Beau and told her that she had been chosen as the special princess, and would have her makeover done in the special spot, in the front display window of the store. 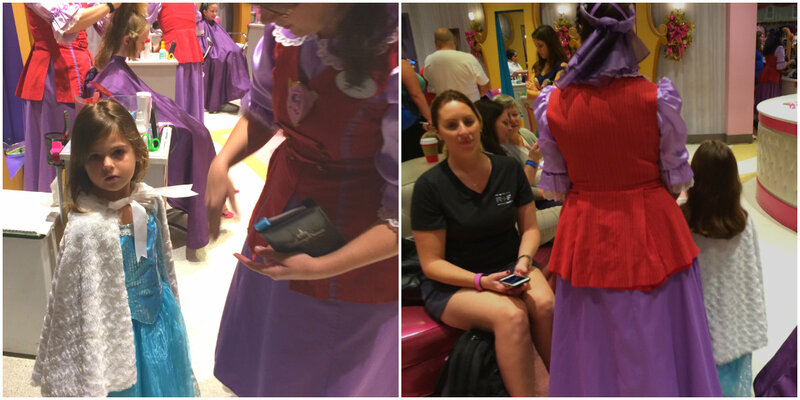 I am pretty sure they chose her to showcase their new Frozen makeover package, but regardless, we were thrilled! The Fairy Godmother-in-training tied a special princess cape around Beau’s shoulders and ushered her out of the boutique and through the store, while waving at everyone as she went by… it was pretty magical. Once we arrived at the front of the store in Beau’s special seat, the makeover began. I have to give it to Disney, the entire time, all of the Fairy Godmothers-in-training stayed in character and continually complemented the little girls, boosting their confidence. 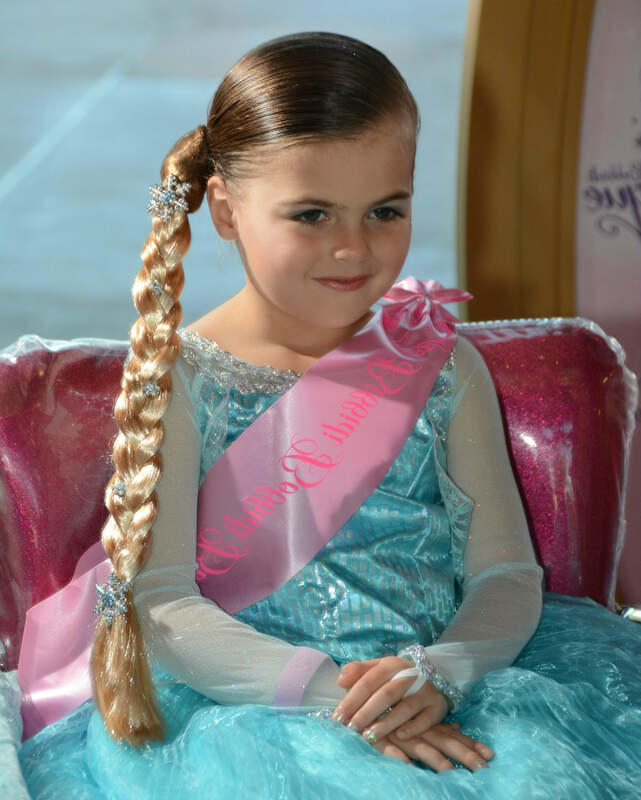 The Disney Frozen Makeover package included: an Elsa hairstyle with braided hair piece and sparkling snowflake hair accessories, an Elsa costume, shimmering make-up, face gems, BBB Princess sash and cinch sack, nail polish and a 12″ Olaf Plush Toy, for $194.95. Beau was able to keep everything including the makeup, brushes, face gems, nail polish etc… The entire Bippity Boppity Boutique appointment took about 45 minutes. This was one of both Beau’s and my favourite memories from our whole trip. As you may remember, Beau struggled a little earlier this year with anxiety. She has also been such a fantastic and patient sister. It was her turn to shine. As Beau’s makeover was coming to an end, I was fighting a migraine. I think the exhaustion of the drive was getting to me and I was starting to wonder how I was going to last the rest of the day walking around the hot park. So, when I received a text from Mike telling me that Mia and Everly were melting down, I was quick to throw in the towel and offer to stay back at our resort with them for the rest of the day. Although it was a little disappointing missing Hollywood Studios, I knew that this was the best decision for everyone. Mike and my dad took Mia and Everly, and our big stroller, (more about the buses + strollers + toddlers when I cover the Art of Animation in a different post), and headed back to our resort to meet up with Beau and I. My mom stayed at Hollywood Studios and continued the day with Holden. I was able to put Mia and Everly down for a proper nap, while I napped as well on the sofa and finally fought off my migraine. 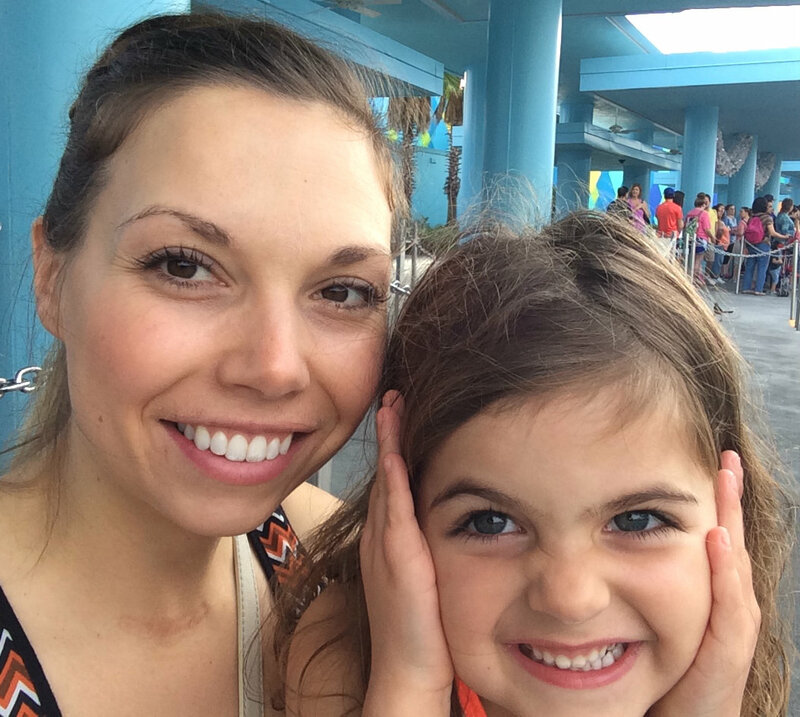 My mom ended up heading back early that day and by late afternoon we brought Mia and Everly over to our resort’s big blue pool. We had such a great time, and it was exactly what I needed to recharge. Mike, my parents, and the big kids spent the rest of the day at Hollywood Studios, enjoying everything it had to offer. Mike later told me that everywhere they went, including the bus ride back to our resort, the Disney “cast members” (AKA employees), would announce that Queen Elsa (Beau) had arrived everywhere they went. I wish I had been there to see Beau’s face. 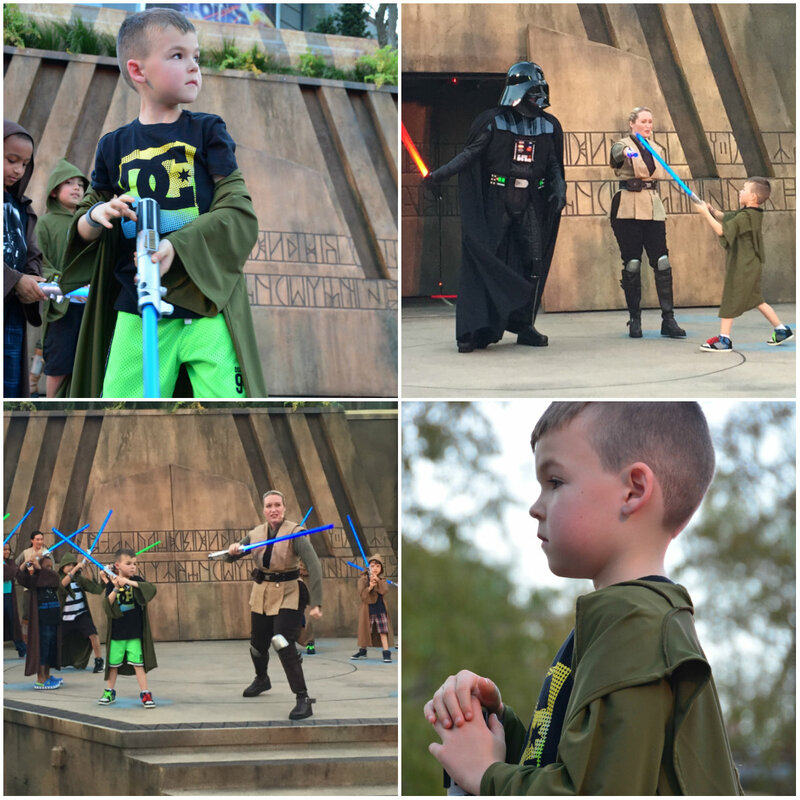 The day finished with Holden’s Jedi training, something that Mike had booked earlier in the day. Despite being terrified while waiting his turn, the actual experience is Holden’s favourite memory from Disney World. Looking back on our first day of Disney World, a part of me is disappointed that I had to miss out on so much. I think that I made the right choice staying back so that Mia, Everly and I could rest and regroup. 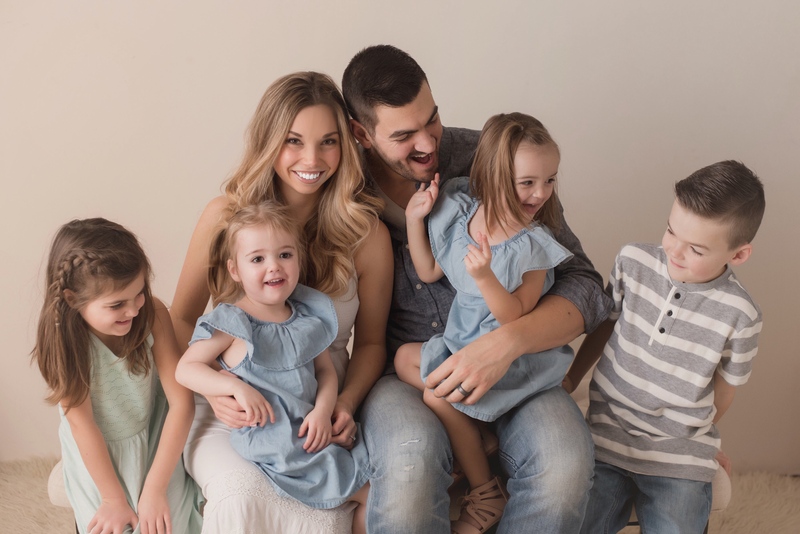 Holden and Beau had been so patient during my pregnancy with our twins, and the most understanding and caring older siblings during our twins’ first year. I am so glad that this day was focused on them. They were the reason we went to Disney World this year, so that we didn’t miss this magical age. I learned a long time ago, that with twins, you have to make sacrifices and change the plan, or pull the plug when necessary. This was no exception. 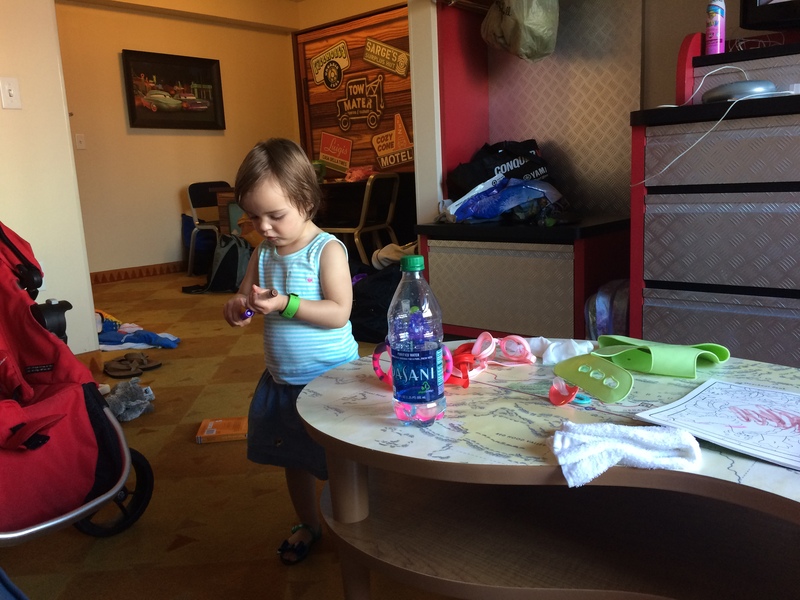 By the end of the day, I was rested and ready for what the following day had planned… we were heading to the Magic Kingdom with everyone and making sure that Mia and Everly joined in on the fun. Stay tuned! I’m going to enjoy reading your blog. Awesome. I love Disney. I think it is so very touching you planned these special activities for Beau and Holden. It brings happy tears to my eyes! I have an 18 month old (I’m a FTM), and his needs certainly dictate our household (naps, meals, etc.). What a magical experience for your children!